Just hours after Jailbreak developer Pod2g highlighted what may have been potential flaw in the way Apple’s iOS messaging platform interpreted incoming text messages, Apple has commented on the matter, warning of the limitations of the SMS protocol and reinforcing the security of its iMessage service. Apple takes security very seriously. When using iMessage instead of SMS, addresses are verified which protects against these kinds of spoofing attacks. One of the limitations of SMS is that it allows messages to be sent with spoofed addresses to any phone, so we urge customers to be extremely careful if they’re directed to an unknown website or address over SMS. The Loop’s Jim Dalrymple expands on Apple’s statement, underlining the key point that the company wanted to drive home. While the messaging flaw may affect the iPhone, the Apple smartphone isn’t alone. 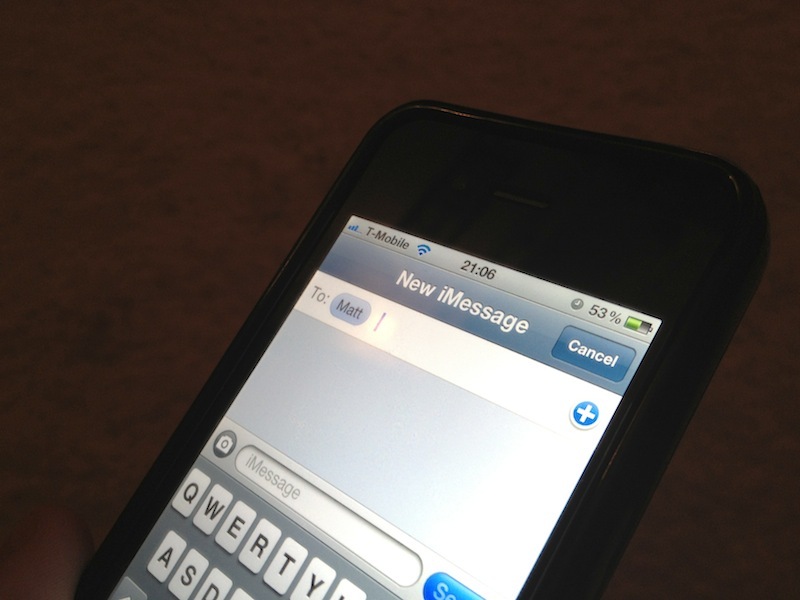 “The vulnerability is not with the iPhone, but rather with the SMS technology. The iPhone is not alone in being susceptible to this type of attack — all phones that use SMS can be tricked in the same way,” Darlymple writes. Apple’s iMessage is a proprietary platform, shielding iPhone users from traditional messaging flaws that exist within the ageing SMS protocol. If you own an iPhone, you’ll likely be using iMessage anyway, but recommend you remain vigilant when sharing personal details over text message (or any protocol for that matter).